This gorgeous poinsettia vintage apron is perfect for wearing during the holiday season. The navy blue background brings out the beauty of the poinsettias. The edges have been finished off with red seam binding. 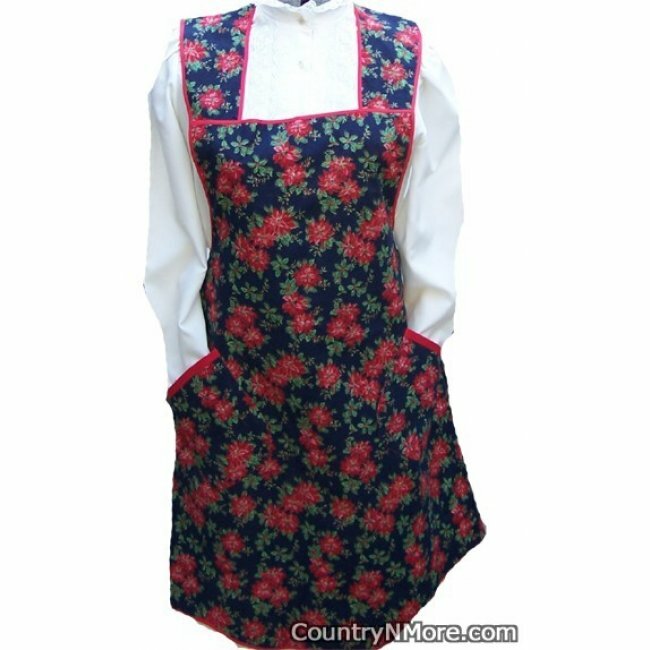 This is a plus size apron (see measurements below).